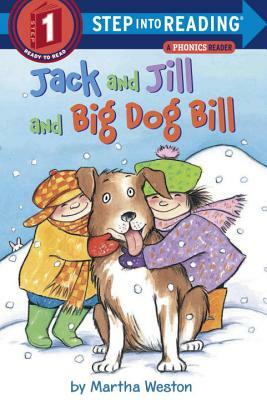 Jack and Jill and big dog Bill go sledding one snowy winter day. When big dog Bill notices a rabbit on the hill, mayhem ensues. This fun phonics reader helps early readers with the use of alliteration and rhyming. Martha Weston was a colorblind illustrator and children’s author who has more than 60 books to her name. Of her work, Weston said, “the best part of writing and illustrating is creating a world of my own—generally a goofy one—and feeling like I am stepping into it." She passed away at the age of 56.